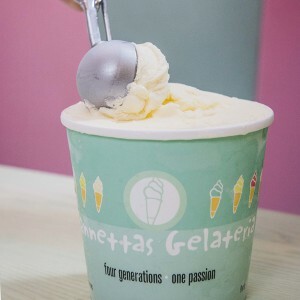 Jannettas Gelateria is also delighted, and privileged, to supply its products to a range of businesses the length and breadth of Scotland – an element of our business that continues to grow. We have many flavours available to choose from depending on the season and demand. 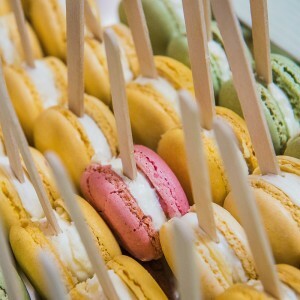 Daily, we have our popular favourites such as Vanilla, Mint Choc Chip, Chocolate and Strawberry and, as you would expect, we can also provide everything from waffle cones and wafers to ice-cream spoons. We’re also happy to provide guidance and training on everything from the storage and display of our award-winning Gelato to where you can source your very own ice-cream counters. If you fancy a taste before committing, we’d love to see you at our St Andrews Gelateria, where you can sample some of our 54 flavours and discuss your requirements. Or, we can always come to you to talk through our various wholesale options at your business. To explore our full range of flavours, or to find out more, please get in touch .